HI! I am Suanna Geater. I turned 50 in January 2019!! For over 30 of those years I was a Y,o-Yo Dieter. I tried almost all the diets around. I have been fit, semi-fit, semi fat, fat and morbidly obese multiple times over the years and it is amazing to me that my metabolism is working at all. I admit that I have abused my body over the years and I am very grateful that she has taken such good care of me and has been able to heal as well as she has. I know my body used to scream at me Woman! What ARE are you doing to me now? Why? Please just STOP! It took me almost 2 years to lose 170lbs of fat, guilt, self-loathing and fear but I did it! These days I am doing fabulous and have been able to maintain a healthy size for me (8-10) for several years. I was down to a size 6 for a while but that was difficult for me to maintain without feeling deprived so I tweaked my nutrition and training to where I can comfortably maintain this size without feeling any sort of deprivation at all. I was born and raised in West Tennessee and moved to The Shoals area of North Alabama July of 2015 when my husband’s job transferred him to their corporate headquarters. When I left Tennessee, I had been working in the business world for over 25 years. When we left West TN, I left a job as Assistant Executive Director for the YMCA in my home town where I also taught several fitness classes. After moving Florence, I spent the first 8 weeks here getting to know the area and getting our house in order before deciding to look for a job. I knew I would not enjoy the business world if I went back to it. While it is something I am good at, I was no longer interested in going back to it. My passion had turned to Health and Wellness. I am currently certified as Group Exercise Instructor, Lifeguard, Sports Nutrition Coach, and have completed 2 different 200 hour Registered Yoga Teacher trainings and am currently working on becoming a Yoga Therapist. 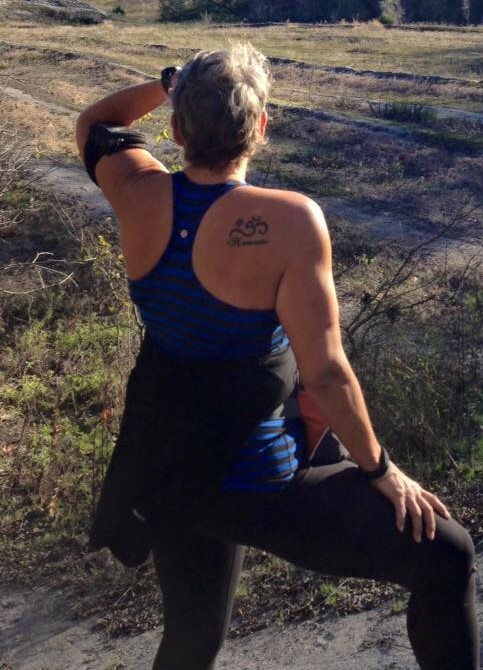 I have several specialty certifications in Senior Fitness (Active Aging) and I currently teach anywhere from 9-12 classes a week around the Shoals area that includes multiple types of fitness and Yoga. I also offer small group and individual in-person coaching and distance coaching via the online space. As a lifetime student of whatever interests me at the moment, I love learning new things and incorporating any lessons learned in my daily life. If I had to describe myself I would say I am a Weight Lifting Happy Hippy who is loving life, coffee, ice cream, purple, sunshine, and anything fitness or nature-related.